Lawn mowing and trimming may be common household chores for many teens during the growing season. In addition, a common first job for many teens is yard care or lawn mowing. As most teens may lack experience with lawn equipment, it is important proper safety precautions be followed to ensure a safe and injury-free work experience. The purpose of this fact sheet is to provide important safety information and tips for teenagers to consider when operating lawn care equipment. This fact sheet is not intended to replace the safety recommendations or requirements of the owner/operator’s manual, but rather to highlight and enhance the recommendations of the manual. Personal protective equipment, commonly known as “PPE,” is equipment that should be worn to minimize exposure to possible hazards in the landscape management work place. Examples of PPE include items such as sunglasses, impact resistant safety glasses, face shields, boots, protective clothing, gloves, masks and ear plugs. Be sure PPE conforms with the recommended safety compliance marking recommended in the operator manual for any equipment that you operate. Safety glasses: Safety glasses (Figure 1a) should be chosen to help protect your eyes from both debris impact hazard and dust hazard. Mowers, trimmers and blowers dislodge debris and propel the debris at high speed in several directions. Properly selected safety glasses are impact and dust resistant, and will provide better protection than standard sunglasses or non-impact resistant prescription eyeglasses. When choosing ideal eye protection for working with lawn care equipment, consider those that are impact resistant and that will protect against the sun’s damaging ultraviolet (UV) rays. 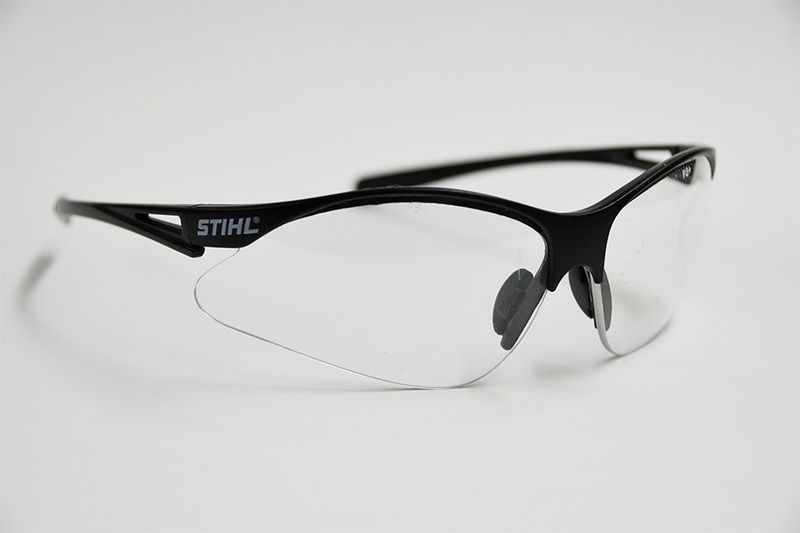 For proper “high impact resistance,” consider using “ANSI Z87+” marked safety glasses. Selecting eye protection that has side shield protection can limit exposure to debris that might enter the eye from the sides of the eyewear. Workers who wear sunglasses or prescription eyeglasses should also wear safety glasses over the sunglasses and/or prescription lenses without disturbing the proper position of either. Alternatively, purchase and utilize a pair of prescription safety glasses. Figure 1a. Impact-resistant safety glasses provide eye protection from flying debris. Faceshields: Faceshields (Figure 1b) are capable of protecting your face from flying debris. Faceshields that provide basic impact protection from flying debris are marked “ANSI Z87,” while those that provide high-impact resistance are marked “ANSI Z87+.” Faceshields are used when there is a need to protect the entire face, and in those cases, should be used in addition to safety glasses. 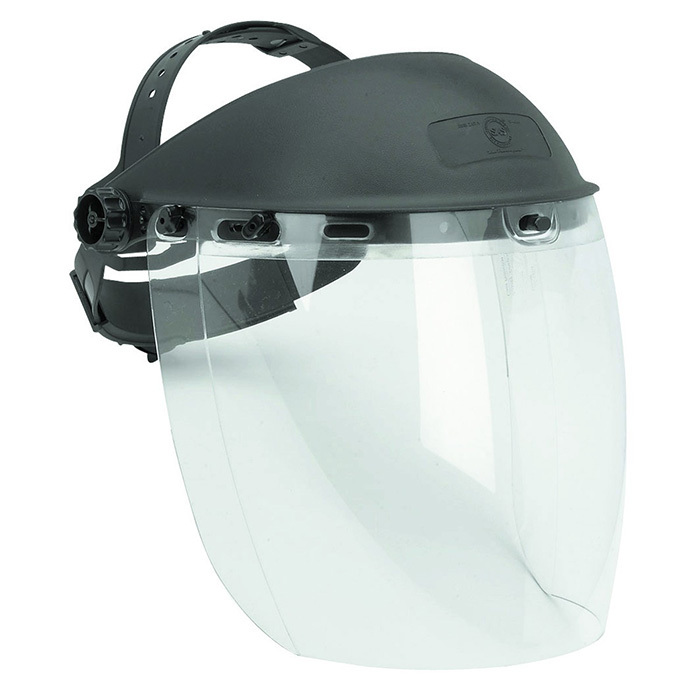 Faceshields are generally not a substitute for high-impact resistant safety glasses. Figure 1b. Polycarbonate faceshields provide basic protection of the face, while still allowing for suitable visibility. They are worn over safety glasses. 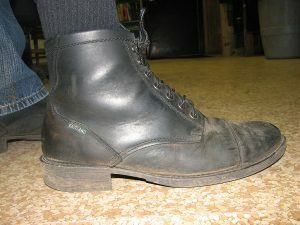 Boots: It is recommended to wear steel-toe boots while operating a lawn mower or string trimmer. While steel-toes aren’t an absolute requirement, wearing work boots will help protect your feet from unseen hazards (Figures 2 and 3). Steel-toe boots help protect the foot in case a heavy object, such as a rock, is accidentally dropped on the foot. They can also protect the foot from puncture of a sharp object, such as a pocket knife or box cutter, being accidentally dropped on the foot or stepped on. Figure 2. Work boots provide toe, foot and ankle protection. Figure 3. 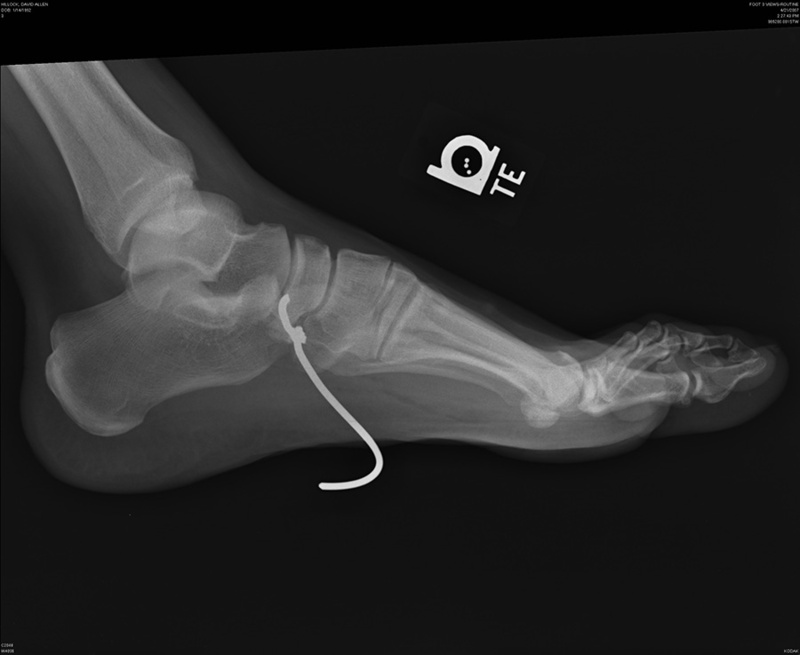 X-ray of a foot that was impaled by a piece of wire from a chain link fence. The wire was kicked up by the mower blades and had gone through sneaker and foot in a matter of seconds. Protective Clothing: Wearing long sleeves and long pants when working with lawn machinery is a recommended. Mowers can kick up rocks and sticks, and trimmers can fling burrs and stickers, all of which can wound. Pants and long sleeves will help take the brunt of the impact, so your skin doesn’t. While long sleeves and long pants can protect your skin, baggy clothes can get in the way of moving parts and become caught. Do not wear rings, necklaces or other jewelry that may get caught in equipment. Hands and Mouth: While operating these machines, leather work gloves provide your hands with some protection from debris, lacerations and blisters. Gloves are also useful if performing mid-job maintenance on equipment (Figure 4). 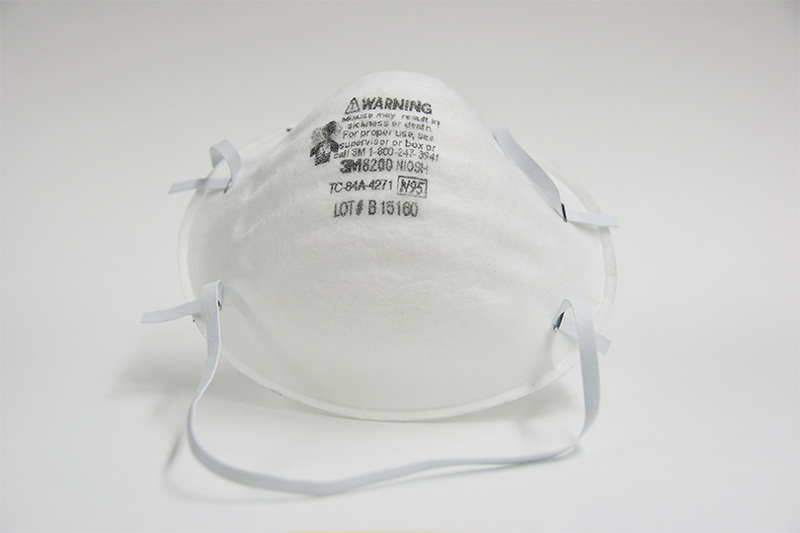 A bandana or dust mask worn over your mouth and nose helps minimize inhalation of dust, especially in drier conditions (Figure 5). Note that dust masks are not approved for respiratory protection. Figure 4. 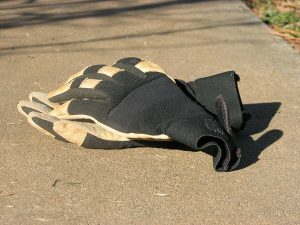 Wearing gloves provides an added layer of protection for your hands and fingers. Figure 5. Dust masks help keep dirt out of your nose, mouth and lungs. Ear protection: Wearing earplugs or safety earmuffs is a good precaution when using mowers, trimmers and blowers (Figure 6). The loud and high-pitched engine noises can damage your eardrums and cause hearing loss later in life. 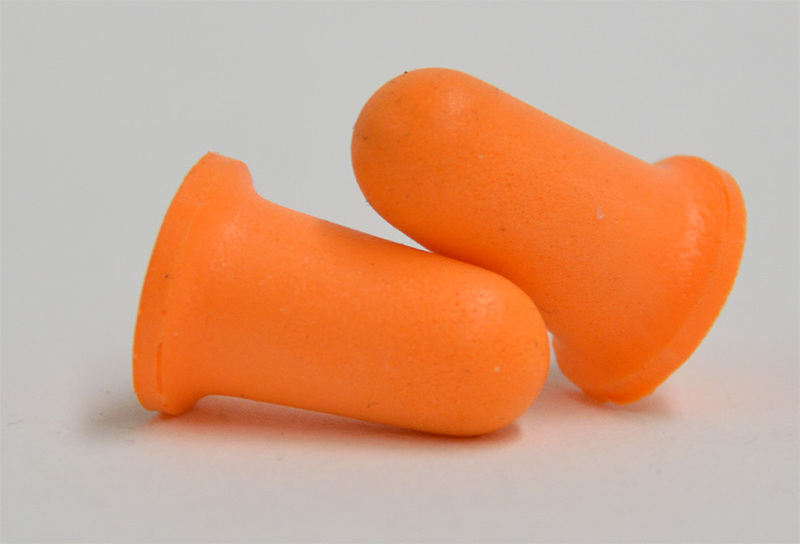 If operating equipment that exceeds a sound level of 85 decibels (dBA), then ear protection should be used, regardless of how long the equipment is used. A lawn mower may cause a sound level at 90 dBA, a string trimmer at 96 dBA and a blower at 99 dBA. Depending on the type of equipment used, ear protection may be needed anywhere from a noise reduction rating (NRR) of 12 to 25 dBA or more. Note that music headphones are not designed for ear protection and should not be used when operating loud equipment. Figure 6. Ear protection reduces the noise decibel level that reaches your ears. It is important to routinely inspect and check lawn equipment to ensure proper operation. Performing some general maintenance procedures will lengthen the useful life of the equipment. Checking oil and gas levels: All gasoline mowers will use oil. Oil keeps the moving parts of the engine lubricated and helps prevent corrosion. The oil level should always be checked when the engine is cold. To check the oil level, move to a level location, locate the dipstick on the mower engine housing, pull it out, wipe it clean with a cloth or paper towel,and reinsert the dipstick (Figure 7). 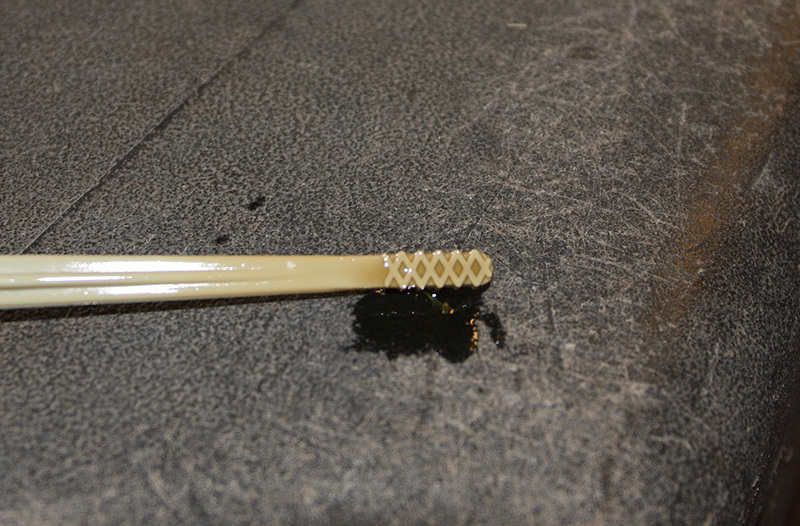 Pull the dipstick out again, and check the oil level. There should be indicator markings for the upper and lower fill limits or for the space between fill limits. NEVER add oil while the engine is running. Hot oil could splash on you or the outside of the engine, which could start smoking and possibly lead to a fire. Note that many small engines may require 2-cycle oil at a 40:1 or 50:1 gas to oil ratio, or a similar ratio. Always read the manufacturer’s recommendation for your engine type before adding oil or fuel. Figure 7. A dipstick’s maximum (left arrow) and minimum (right arrow) oil levels. If the oil reading is below the minimum, add oil until the oil level is within fill limits. To check the gasoline level, make sure the mower is at a level location. Look at the fuel gauge, which will be somewhere on the engine housing. If the level is low, carefully add gasoline, making sure to not overfill the tank. Almost all mowers can use regular gasoline with an octane rating of 87 or higher (make sure to double-check ethanol content as most mower engines can only tolerate E10 gasoline). It is typically recommended to use the highest octane fuel available (91 or 93 octane, ethanol free) for small engines. Fuel stabilizers can be added to the mower tank, which will help protect against moisture from ethanol-based fuels and can be useful to add either during the season or especially when storing mower fuel over the winter. NEVER fill the gasoline tank while the engine is running. A stray spark could ignite the fumes and cause a fire or explosion. Be sure to store fuel in an approved, sealed container, out of the reach of children and pets and away from heat or flames. Filters: Air filters should be changed about every six months or 50 hours of operation. The filter’s primary role is to prevent dirt from entering the engine and is an inexpensive way to keep your engine operating smoothly. Air filters can be visually inspected for excessive dirt and debris. Make sure to check the model number on the old filter before buying a new one, as an ill-fitting filter may allow dirt through. Spark Plugs: Spark plugs should also be replaced regularly, usually every two years. It is very important to make sure the correct spark plug is purchases for your mower engine. Using an incorrect spark plug may damage your engine. ALWAYS make sure the engine is turned off and cool before checking or replacing the spark plug. Refer to the mower owner’s manual for detailed directions on spark plug removal and replacement, as well as proper spark plug gap measurement. To check or replace a spark plug, carefully remove it with a spark plug wrench. Install the spark plug by hand to avoid cross-threading. Once the spark plug seals, carefully tighten with the spark plug wrench to compress the washer. Double-check to make sure the spark plug is tight. A loose spark plug can overheat and cause engine damage. Tire Pressure: Most walk-behind lawn mowers do not have tires that require air. On the other hand, most riding mowers will require properly inflated tires for operation. 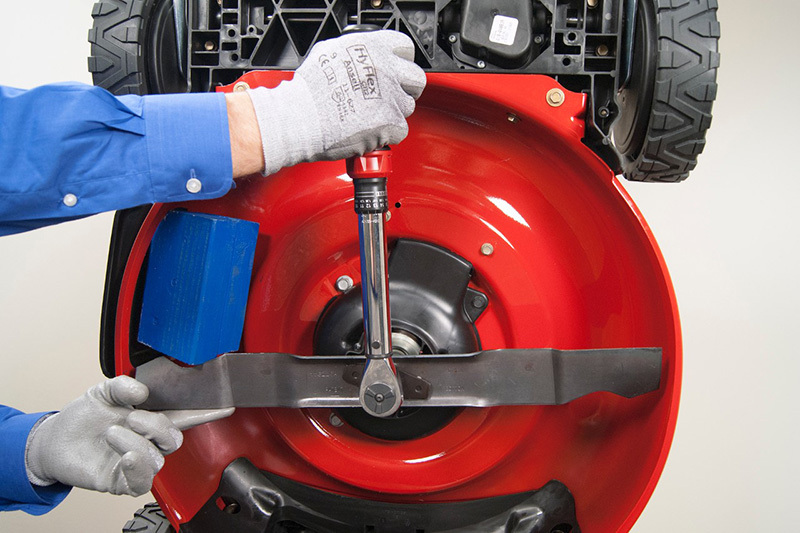 Checking tire pressure on a mower is done in the same way as checking tire pressure on a car or bicycle. Use a tire gauge to check the pressure of each tire and compare that to the recommended pressure range listed on the tire. Make sure to double check the pressure range to avoid under- or over-pressurizing the tires. 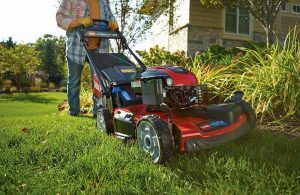 Charging Batteries: For cordless electric mowers, trimmers and leaf blowers, always double-check that the battery is properly charged before using. Keep the batteries stored indoors in a dry, climate-controlled area, if possible. Push mowers or walk-behind mowers are the most commonly used mowers for home lawn care (Figures 8 and 9). While mowing may seem like an easy task, proper operating procedures and safety precautions must be followed at all times during the mowing process. Note that most manufacturers recommend that operators must be 14 years of age or older before operating a mower. In addition, teenagers and first-time users must read the operator’s manual and must be properly trained on mower operation by an adult before mowing. Figure 8. Rotary push mower. Figure 9. Rotary mower blades. General Precautions: Before operating a lawn mower, be sure to put pets or little children inside and avoid working near people, as objects and dust thrown by equipment can irritate or harm others. It is typically recommended to make sure no one is within 75 feet while operating a mower. Always walk the area to be mowed to remove rocks, tree limbs, trash or other debris before mowing. If children and pets are routinely in the yard, also be sure to check for and remove toys, bones, balls or other objects that might be tripped over or thrown during mowing. When mowing near flower beds or mulched trees, make sure to keep the mower far enough away to avoid cutting flowers or throwing mulch. Only push the mower forward when mowing. Do not pull the mower backwards or towards the operator. Also, try to mow so grass clippings or debris is not thrown towards people, pets, cars, roads or windows. Remember that thrown objects can also ricochet and cause injury or damage. Mowers today come with a blade safety switch or device. Never disengage the safety mechanism or tie a rope around the handle to bypass the safety feature. Only mow during the daytime hours and do not mow at dawn, dusk or at night. This will help ensure that you can see where you are mowing. If you notice something is not right, such as the mower vibrating, cutting too low, cutting uneven or if the engine is making funny noises, stop immediately and seek guidance from an adult or mechanic before operating the mower again. Protective Blade Flap/Rear Shield: The protective blade flap is the rubber flap that directs the grass clippings away from the mower blade. If you’re collecting the grass clippings, sometimes the bag attaches here. As tempting as it may be to flip that flap up to help prevent the clippings from clogging the blade, that flap serves the purpose of preventing objects caught by the blade from being flung towards you at high speeds. At the back of the mower is the rear shield, a heavy rubber flap that runs along the base of the mower under the handlebar. Like the blade flap, this shield’s purpose is to keep clippings and debris from being launched by the rotating blade. Never operate a mower without the proper shield. Note that many rear discharge mowers also have a rear shield. Make sure it is properly in place before mowing. This rear shield should only be removed if operating with a properly installed bagger or grass catcher. Clogged mower blade: If the grass is too tall, very thick or too wet, the cut leaves can tangle around the blade, causing it to clog and either slow down or come to a near stop. If the problem is too much grass too quickly, simply slowing down the forward speed should do the trick. HOWEVER, if the blade becomes stuck, turn off the mower, remove the spark plug cap and then set about clearing the blade by turning over the push mower on its side. Topographical Challenges: One of the main challenges for mowing is navigating the slopes and edges of lawns. If you are mowing a yard that slopes, mow across the slope, from side to side, as opposed to up and down the slope. Mowing down steep slopes can cause you to lose control of the mower or possibly slip underneath it, whereas mowing up a steep slope could potentially result in the mower sliding back down the slope or running over you if you lose your footing. Mowing across slopes also results in a more even mow. 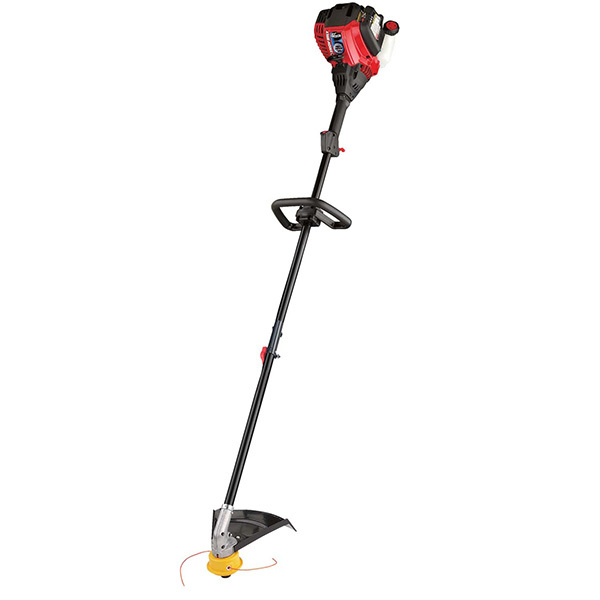 Electric Mowers: There are two types of electric mowers: cordless and corded. Cordless electric mowers pose most of the same hazards as gasoline mowers. Corded electric mowers, on the other hand, pose a very large potential threat from electrical shock. If you are using an electric mower with a cord, keep track of the cord while you’re mowing. 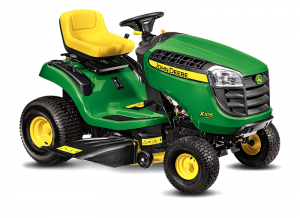 Remember: your mower has a sharp rotating blade underneath, and it can cut through an electrical cord, creating a circuit that connects you, the mower and the electrical voltage running through that power cord. Riding mowers can increase productivity and reduce the amount of mowing time, especially for larger properties. While they can be fun to operate, you must read the operator’s manual and be trained by an adult before using riding mowers. Most manufacturers recommend that no one under 16 years of age should operate a riding mower. Note that the recommendations mentioned for push mowers also apply to riding mowers. Figure 10. Standard riding mower. General Precautions: Make sure that the discharge points away from the street (courtesy), from other people or pets (who shouldn’t be in the area) and flower beds (leaf blower effect). Remember that it’s never safe to let a child ride on the mower with you, even with the blades disengaged. Mower Blades/Clogged Blades: Similar to push mowers, riding mower blades may become clogged by tall, thick or wet grass. This can be avoided by maintaining a slow to moderate forward speed when mowing under these conditions. This allows the blades ample time to deal with the grass as it is cut. NEVER drive a riding mower in reverse while the blades are engaged. If you need to reverse the mower, make sure the blades are disengaged first. Also make sure the blades are disengaged when driving the mower to and from the lawn area (from the garage, for example). Protective Guards: Riding mowers have mower deck and under shields that are designed to help prevent lawn clippings and other debris from being flung out by the spinning blades. Always make sure the space under the mower deck is clear before turning the mower on. If something gets caught under the mower deck during mowing, disengage the blades, shut off the mower and remove the caught item. Topographical Challenges: Unlike a push mower that is driven across slopes, riding mowers should be driven up and down slopes. Driving a riding mower across a slope can result in the mower tipping over, damaging the machine and potentially injuring you. If you are driving up a slope and the mower stops running, disengage the blades and slowly back the mower down the hill to level ground. NEVER leave the mower unattended on a slope. The use of string trimmers and edgers can often separate a good lawn care job from an excellent lawn care job. String trimmers and edgers can help to give a yard a very clean look and increase curb appeal. They can be dangerous to operate, especially around gravel, trash and other debris. They can cause damage to trees, landscape plants, house trim, fences and people. Be sure to read the operator’s manual before operating string trimmers or edgers. Figure 11. Standard string trimmer. 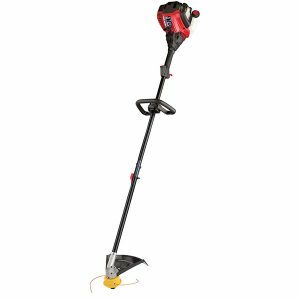 General Precautions: The major hazard with string trimmers and edgers is two-fold: objects getting launched outward by the trimmer string or edger blade, and the trimmer string or edger blade itself breaking and flying out. Wearing long pants and long sleeves will help protect you from injury. Make sure children and pets are not in the area before beginning. Keep an eye out for passersby, especially when trimming or edging near sidewalks or in public areas. Electric Trimmers: Additional hazards that are unique to electric trimmers can be due to the electrical cord. It’s easy to lose track of where the cord is when you’re in the middle of trimming along a fence line or the edges of a lawn, increasing the chance of tripping over the cord or hitting the cord with the trimmer. Hitting the cord may result in damage to the trimmer and possibly electrical shock. Topographical Challenges: Trimmers, unlike mowers, are easier to use on slopes because they are held off the ground. As with mowers, upright objects such as fence posts, trees and lawn furniture can pose a problem. Because of the way trimmers operate, getting too close to trees or fence posts can result in gouges in the post or bark. This type of damage could cause unsightly scars in the short-term and lead to disease and insect problems for the tree in the long-term. Similarly, getting too close to lawn furniture can result in damaged furniture. Maintenance and Adding String Line: Before beginning any maintenance of the trimmer, again read the owner/operator’s manual. Remove the battery (portable electric), electrical cord or spark plug wire (fuel powered) to prevent any accidental starts. When you replace the string spool, make sure to follow the spool installation instructions that came with your trimmer, because installation can differ between models. Also, make sure to use the correct diameter and type of line, wind line in the correct direction and use or purchase the spool(s) listed as appropriate for your trimmer. 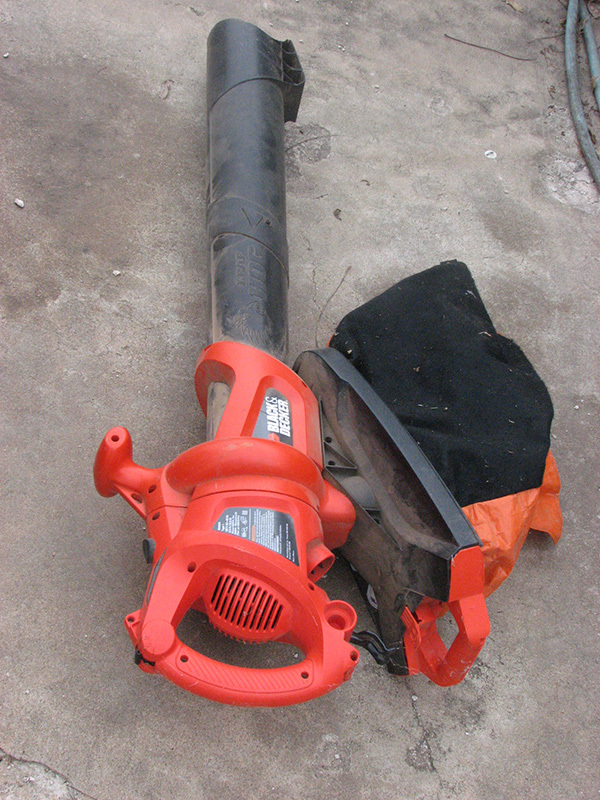 Blowers are very useful for the last step in a lawn mowing and trimming operation. Leaf blowers can be used to blow grass clippings from hard surfaces such as sidewalks, driveways and roadways back into the lawn. Note: never blow grass clippings onto driveways or roadways. The grass clippings contain beneficial nutrients that should be kept in the yard area and not allowed to move down the road or off site through rainfall and drainage. These beneficial nutrients can become harmful to waterways if allowed to move away from the yard and offsite through roadways or sewers. Figure 12. Leaf blowers are used to blow clippings, leaves and debris back onto the lawn surface from sidewalks, driveways and roadways. General Precautions: Unlike the other small machines covered here, the primary hazard of leaf blowers is not directed towards the operator, but rather towards any bystander. While the leaves being blown pose little danger, small rocks, nuts, bean pods and other debris can be dislodged and blown around by the equipment. These objects can injure people, animals and delicate plants or objects. When you are using a blower on a lawn or sidewalk, keep an eye on the surroundings. If there are people trying to walk past, lower the blower and point it away from them. Also make sure you don’t blow towards someone else’s lawn, as you will cover their lawn in leaves and debris. Do not blow debris toward parked cars, as flying debris may dent or scratch the car. Maintenance: After every use, shut the blower off and check for any cracks or signs of wear. Keep the air intake vents free of debris and leaves to prevent the motor from overheating. The exterior of the blower can be cleaned with a damp cloth, but you should never use a solvent of any kind to clean the blower because any plastic parts could be damaged by the chemicals. Many teens may find themselves operating lawn equipment for a summer job or to help out at home. It is always important to put safety first. 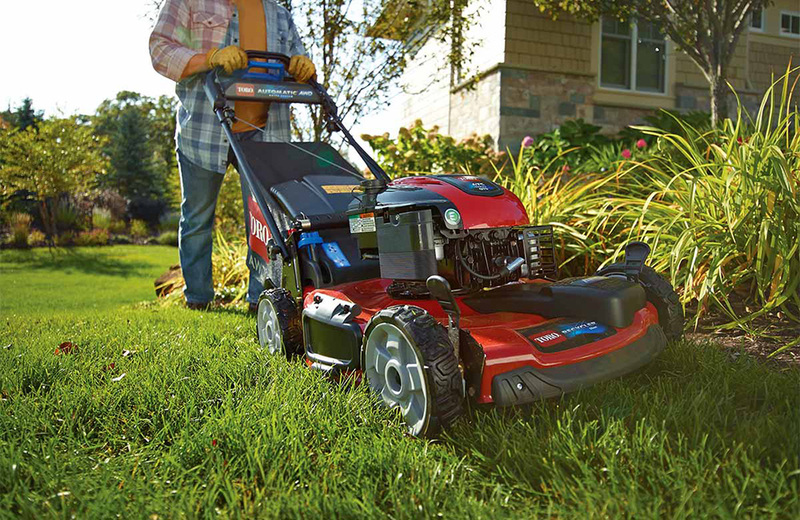 Read the operator’s manual and get proper training before using lawn equipment. Be sure to use the recommended personal protective equipment recommended by the manual. Doing these things and following the tips in this fact sheet will help establish a safer work experience, reducing the likelihood of injury to people, animals or plants. These tips will help prevent damage to property and increase the useful life of the equipment.